Is The Cloud Safer Than Traditional Data Systems? Some providers still have reservations when it comes to allowing their data to be stored in the cloud as opposed to an on-site location, but experts say cloud storage may be the safest option. 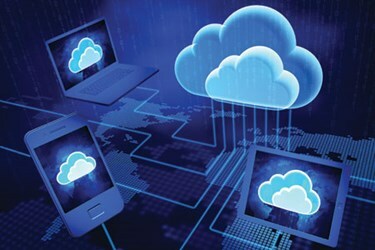 According to HIMSS Analytics’ first ever cloud survey, 80 percent of providers are using the cloud. Despite this overwhelming majority of healthcare organizations on board with the technology, another 6 percent of those surveyed refuse to adopt the cloud due to security concerns. Is this minority right. Is the cloud unsafe? Experts weighed in for iHT2′s Answers to Healthcare Leaders’ Cloud Questions, a research report which addresses why some organizations have not yet migrated to the cloud and what their concerns are. According to Health IT Security, the report found two of the most cited reasons for not utilizing the technology were the access to sensitive patient data and whether it will be encrypted in the cloud. The HIMSS survey echoed that sentiment, finding physical and technical security were two of the top factors in choosing a cloud service provider in the HIMSS survey. Twenty-seven percent of respondents actually saw the cloud as a way to boost security, rather than threaten it. Taveras isn’t alone in expressing concerns about the cloud, but there are options to learn about cloud security and the myths that surround it. One option is the webinar, Healthcare Cloud Security Myths Debunked, to be held at 2 p.m. ET on November 13. The webinar will be moderated by Health IT Outcomes editor in chief Ken Congdon and is sponsored by ClearDATA and EMC.